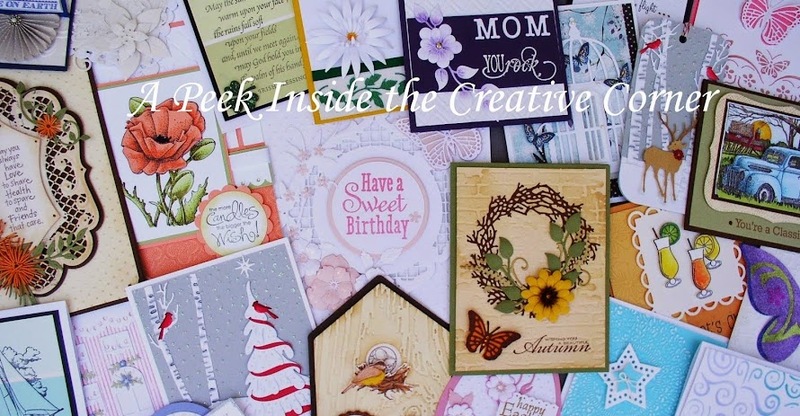 A Peek Inside The Creative Corner: Happy Father's Day! Happy Father's Day everyone! Anyone can be a father, but it takes someone special to be a dad! Wish my dad lived closer, but we talk everyday and I'm wishing him a wonderful day. Just wanted to post a quick and easy card for Father's Day. Wanted to show you a close up of the saying. Thanks for stopping by and I hope you are having a great day with your dad!